Hope you all had a good weekend. Ours was uneventful and relaxing. The girls had soccer, gymnastics and then had friends over on Saturday. We spent Sunday going to church, running errands, working on homework and soccer. K got some great news at practice. Her team did so well last season that they are going to be moving up a division AND were invited to play in a huge tournament here in Indiana. Such great news for these wonderful girls. They have worked hard for this! As I mentioned in an earlier post, my sweet DH got me a Silhouette Cameo for Christmas ( I may have hinted a bit) :) I am having so much playing with it and creating new files to use on my projects. I created this layout for the color challenge at Emma's Paperie. Gorgeous colors aren't they? This is the layout I created about my sweet girls. They really are still the best of friends. I can only pray that they stay that way for years to come. I used my Cameo to create the Chevrons and title. I have loaded the Cheron file here and the You & Me file here. They are free to anyone who would like to use them. I just ask that you please give me credit and link them back to here. THANKS! All other supplies can be found on the Emma's Paperie Blog. Hope you have a very blessed week! Thanks for stopping by! gorgeousl style!! 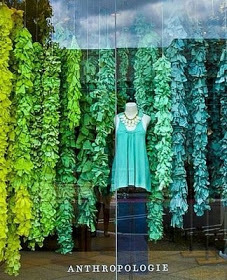 Love the greens!! You put your gift to good use! Love your layout! 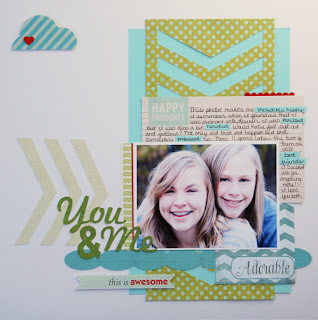 Beautiful layout and beautiful use of the color palette, Lisa! Love the chevron cuts, and the little cloud at top just makes me smile. Totally gorgeous photo of your two girls, too! Love those colors and you did an awesome job!! This is GORGEOUS!! I loveeeeeeeee the colors and the chevrons!!!!! Hi Lisa, I found your blog today and Im happy for that.I really love your blog. Hi Lisa! Hope all is well with you. Miss seeing blog updates. Can't wait to see more scrapbook pages. Yours are always so fun to "scraplift".